- Morning pick up to explore Madaba, Mt. Nebo & the Dead Sea. - Transfer back to your hotel and overnight in Amman. 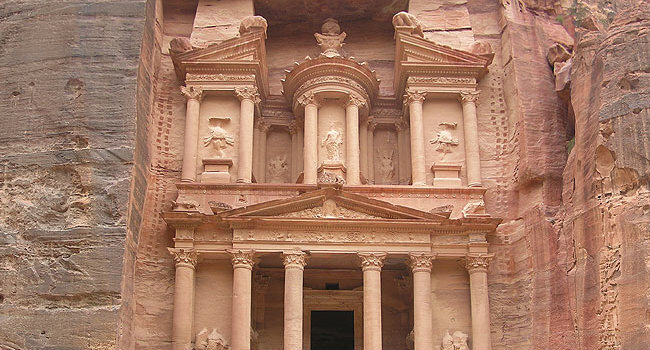 - Breakfast, wander Petra Jordan greatest attractions. - Afternoon transfer back to Amman for overnight. - Check out then drive to Queen Alia airport for the flight to Cairo. - Pay a visit to the Egyptian Museum, Saladdin Citadel & Old Cairo. - Day at leisure to explore the city or book one of our optional activities.